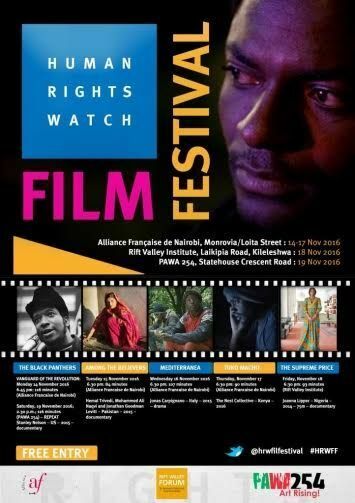 The 2016 HRW Film Festival returns to the Alliance Française. Nairobi is one of over 20 cities around the world that hosts the Film Festival. The festival encourages filmmakers around the world to address human rights subject matter in their work and presents films from both new and established international filmmakers. The films brings to life human rights abuses through storytelling in a way that challenges each individual to empathize and demand justice for all people. At Alliance Française, the following films will be showing. The Black Panthers: Vanguard of the Revolution, Among the Believers, Mediterranea & Tuko Macho. All screenings will be followed by panel discussions.